Ms. Tuna — Patricia H. Ladew Foundation, Inc.
Ms Tuna is 8 years old and was formerly Bideawee's leading lady. She is a very cute silver tabby that has a unique personality to match her distinctive name. She was rescued off the streets of New Jersey in November of 2012 and was living at Bideawee. She is hoping to find her forever home at the Foundation. She enjoys being around people but prefers affection on her own terms. Once she is comfortable around you and in a relaxing environment, Ms. Tuna loves being scratched behind the ears. She is chatty and knows how to get what she wants. She would do best with an experienced cat owner who understands her independent nature. She would also do best in a quiet household. She would prefer to be the only cat, but might ok with another serene feline. 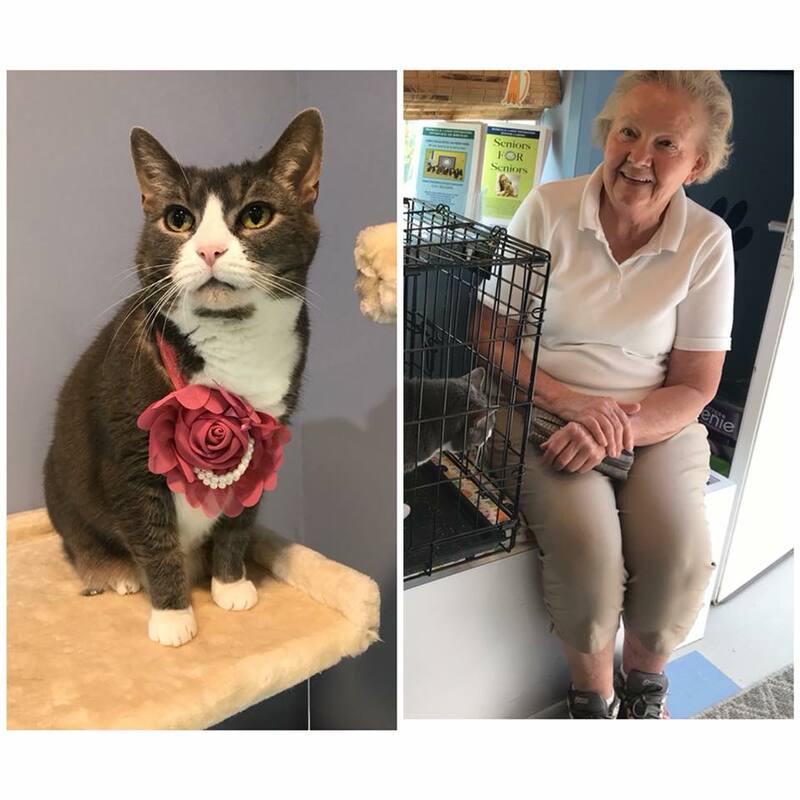 Ms. Tuna found her forever home through our Seniors for Seniors program on July 28, 2018 and is doing well in her new home!